Proud to offer immigration law assistance. Do you or a relative need help to apply for a visa? Do you know someone who would want to immigrate to the United States? While immigration can be tricky and intimidating, the fact is that in most cases, we can help you or your loved ones come to the United States. You can trust our professionals to guide you through the right forms and save you both time and money to get your loved ones here the right way. 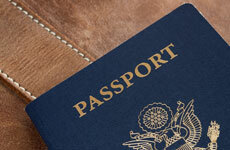 Contact us today as about our citizenship Immigration service.